Red Bull launched their brand new 2013 competitor today in a rather muted event at Milton Keynes. 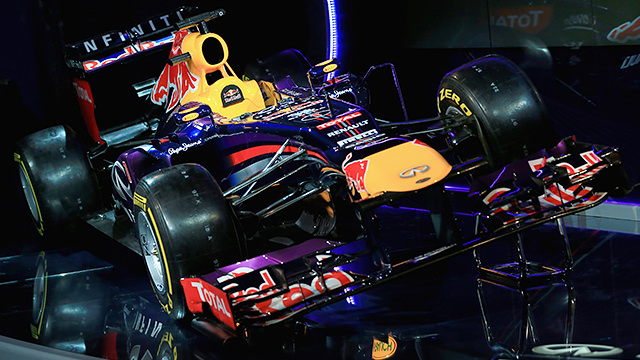 The car was revealed with Sebastian Vettel and Mark Webber on hand to remove the covers, and it was a new livery with increased purple alongside the blue, and a bigger sticker presence for title sponsors Infiniti. Media present in Milton Keynes were banned from taking photographs, but official pictures of the car were released showing a stepped nose without the letterbox slot they had last season.